Taste test: These conventionally cooked potato chips had a mild and tasty sweet barbecue flavor at first, but the flavor got more intense and even tastier as I ate more (which was hard to avoid doing). 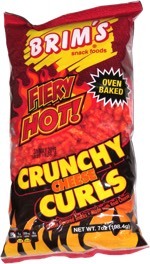 The intense flavor transitioned into a nice, mildly hot aftertaste that had some good sting to it. There seemed to be more flavor powder on the chips farther down in the bag, which might have contributed to the increase in flavor. 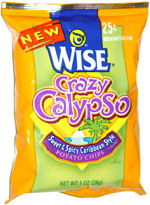 We're glad that Wise has brought back this chip after a long disappearance! Smell test: Sweet and spicy barbecue smell, made my mouth water.